John Eppler and Charles Prunier - members-at-large. In April, Stuart Kaufman stepped down as Music Director and Ann Harte took over that demanding job. There was much discussion about subscribing to an audio news service such as Mutual Network News. Mutual was available for free, but the station would have to pay for the line charges. The ECOM decided that if network news were to be carried, it would be scheduled so as not to interrupt Classical programming, or it would be run after midnight. Also, UPI would be dropped. The staff was evenly divided about whether carrying some type of national network news would fit in with the station's philosophy of airing local programming. Some thought that it was contrary to this philosophy, while other thought it added quite a bit of professionalism to the station's sound, and provided the listeners with important information. The 1970/71 budget, discussed at an ECOM meeting in April, included discussions on whether the station should purchase a toll-free WATTS line, Network News, an Ampex reel-to-reel recorder and back issues of records that the library desperately needed. The group also made plans to move the station's transmitter to Avon Mountain, to a space provided WTIC. The engineering department also began construction on tape delays and speakerphones to facilitate putting phone calls from listeners on the air. Later that year, $5,000 of the Roth Grant money would be appropriated for an audio console for the FM studio, completion of the production board, and an EBS monitor. In addition to operating the FM station, the staff continued to run WWUH-AM, which operated without an FCC license by broadcasting through the wiring in the dorms. Because WWUH-AM did not need a license, there were no restrictions as to the airing of commercials, and WWUH-AM started selling airtime to businesses that wanted to reach the student population. They money raised was to be used to help fund the FM station. A commission schedule was finalized by the ECOM where 15% went to sales people (with no other reimbursement for expenses), 5% for Sales Manager (limited to 10% if he sells the ad) and 2% for the business Manager. An ECOM meeting in May 1970 centered on censorship and the responsibility of the station's management, versus the University as licensee. Staff members had aired "A Night at Santa Rita," which contained several obscene words and had be previously prohibited by ECOM vote for airplay. The record was eventually taken off the air in its second side of play, but an on-air discussion about censorship followed. As a result, the ECOM pulled several questionable records from the library because of the sensibilities of both the audience and the university's administration. Caught between the concepts of providing first class, professional sounding programming and embracing the first amendment to its fullest, the ECOM felt secure in its decision as long as the University held the station's license. Changes were made to the WWUH Constitution in 1970 to allow the station to receive funds from the Student Association, to allow for absentee ballots, and to provide for voting by proxy. The ECOM was wary of its association with the Student Association as the SA had shown that they clearly didn't understand what was involved with running an FCC licensed FM broadcast station. If finally determined that the SA Could audit the station's financial records and could run the AM station, but they would have no control over the FM station. While the association with the SA Was a positive thing, it also prevented community volunteers from a direct voice in elections and other policy votes. At this time, all on-air personnel needed to have a third class FCC with Broadcast Endorsement license if they were alone in the studio. The station held training sessions for this license quarterly, and students organized car pools to Boston and New York City for the exams. Programming on WWUH-AM included the live broadcast of Student Association meetings (at the request of the S.A.) and football games from the athletic field. In October of 1970, Brian Lord was voted in as Program Director at a special election, and discussion about whether to have a monthly Program Guide continued. One could be produced for $70, which included 1,000 but no photographs and the staff would do the formatting and typing. It was hoped that the cost would be underwritten by selling ads in the guide. In December of 1970, the ECOM decided that the AM station could find personnel from outside of the student population. Plans were discussed to install 150 feet of Christmas lights and a peace symbol on the WWUH tower on Gengras for the holiday season. The station spent $4000 for two Scully 280B 1/2 track reel-to-reel machines for use in production. This was nearly one-third of the station's total budget, but it was justified since these machines would allow the station to greatly expand its production department and facilitate the broadcast of pre-recorded concerts. These state-of-the-art machines, the "pride" of the station, remained in use until 1989. Audio processing at this date consisted of a CBS Labs Audimax and Volumax. The transmitter was controlled by a custom extension-metering panel, on the over bridge above the air console. This panel was designed and built by station engineers and allowed all applicable transmitter readings to be taken while in the on-air studio, and allowed for filament and plate on/off switching and power adjustment. The air studio equipment consisted of a 5-channel Sparta console, QRK turntables with Microtrack arms, two Spotmaster stereo cart decks and two Ampex 354 reel-to-reel machines. The announcer spoke into two AKG D-200 microphones connected for stereo, which meant that the listener would hear the announcers voice moving between their speakers as the DJ turned to one side or another while speaking. WWUH-AM utilized transmitters in each of the five dorms. The WWUH AM studio was the small "booth" next to the air studio. Major headlines in 1970: US troops invade Cambodia (May 1). Background: Vietnam War; four students at Kent State University in Ohio slain by National Guardsmen at demonstration protesting incursion into Cambodia (May 4). WWUH alum Charlie Horwitz was Program Director during some of the time period ('69-71), and he submitted this recollection of one of his shows in the early seventies. "One of my favorite recollections was one I shared alone. It was the time when Hartford's connection to the sea and whales in particular was getting air airplay and local ink. In fact a local group had recorded a sea chant of sorts that we played and I think the station had done an interview with them. Their name escapes me. "Well one night, after my Gothic Blimp Works show, I was determined to incorporate that song into a PSA about Saving the Whales. I put in several hours to get 60 seconds of moderately coherent information and put the whole project to bed on a nice new cart. Leaving the Gengras Center just before dawn, I was struck by the sounds of whales whistling down the empty hallways. Now I know that it was just the wind whistling through the opened doors and not the voices of thankful whales but I checked those doors and there were all properly closed. So I went outside and meditated with the ghosts of those voices and have felt very in tune with their song ever since". "I had spent 3 years hanging around the station; watching it being built and seeing my friends go on the air. I almost auditioned for a folk music show, but got involved in the theater department and never followed up. I was supposed to graduate in June 1971, but had one more semester to go. As I always had a work-study job, I managed to get assigned to WWUH for the summer. I was there the Friday of Memorial Day weekend 1971 working on cataloging the classical library, all pre-computer of course. I'm not sure who came in, but I think it was Ken Kalish who asked me if I ever thought I could do a female, easy listening type of program. I said if I did a show it wouldn't be easy listening and he said, great, you go on in 15 minutes. YIKES! I learned the 5-channel Sparta board pretty quickly and since I had spent many hours hanging around, I had a sense of what was supposed to happen. Ken assured me (as there was NO ONE ELSE in the building at the time) that he would be there if I had any problems. SO off I go. My first song at 11:00 AM was Stage Fright by the Band. And except for forgetting to turn off the mike (but potting it down) and taking off my headphones and thinking I was sending dead air out when I wasn't, I did OK. UNTIL, about 25 minutes into my show, when Ken came in and said a tower light went out and since it was a top blinking one, he had to go to the tower ASAP to change it. I was doing great, so I said, see ya! Of course, about 10 minutes later, I lost cue in the right hand turntable and spent the rest of my shift only playing the first cut of the record because I could see to cue it up. Brian Lord was program director that summer. And for some strange reason, he liked what he heard and offered me midday's for the summer. I still have my play lists and I will e-mail a sample day to you at another time. "I have an old air check from my second week on the air and I have NO IDEA why Brian put me on the air! "My most memorable day on the air was the day the draft lottery numbers were announced. I remember playing long cuts so we could gather the info from the wire to read on the air. That was the year my kid brother was in the lottery... imagine how I felt when his birthday came up as number 8....and I still had to be professional and read the rest of the dates. (He turned out to be 4-F from an old skiing injury, but that's another story for another place)." The ECOM frequently discussed funding sources during the early years of the station. The station needed $15,000 for operating expenses over the next 12 months, and while the F.C.C. required the station to be on the air 36 hours a week, the ECOM determined that it would need to be on the air 48 weeks a year to qualify for any grants, so steps were taken to expand the station's broadcast day by adding more shows. The ECOM also discussed the possibility of and requirements for qualifying for Federal Corporation for Public Broadcasting grants. They voiced concerns about the possible loss of student power and participation that might occur if "outsiders" were allowed to run the shows. There was also much discussion about whether a paid staff would be in keeping with the purpose of the station. Marilyn Nabors was appointed as Program Guide Editor, and a decision was made not to have advertising in the first issue. The station also planned for a fund-raising Marathon in April, with a goal of $7,100. The programming department would use this money for tape decks, tapes and records. It was later postponed until the spring of '72. The station held is annual banquet at Valle's Steak House in Hartford on May 14. The cost was $6.50 per person, which included dinner. The speaker was the News Director of WWDC in Washington, DC, one of the top news stations in the country. The ECOM voted to draft a letter to the Federal Communications Commission outlining the station's position on recent FCC concerns about the mention of drugs in the lyrics of songs. The station felt that any restrictions based on the lyrics of a song would be a clear violation of the first amendment by the federal government. The topic of changing the station's constitution was discussed. A proposal was made to change the section that said "a person must be actively involved in the station and also be a student in order to be an active member." Discussion centered on changing the policy so that people who were not students could become active members. The staff at the 3/9/71 General Staff meeting ratified this change. The ECOM voted that "dope" was not allowed in the studio, and that guests needed prior permission to visit. The station also acquired a large safe, nicknamed Hector. No one has been able to say what was originally kept in the office, it was too large and gave people the feeling that they weren't to be trusted, although tools and equipment had a way of disappearing. It was finally moved down the hall. In September, the ECOM met and focused on ways to get Mr. Patricelli, owner of WTIC, to offer WWUH space on its Avon Mountain tower to place its antenna. The ECOM also decided not to pursue Corporation for Public Broadcasting qualifications for fear of losing student interest by hiring a paid professional. In addition, operational costs had increased to about $15,000 a year. The ECOM stated that it was looking for a more definite commitment for financing from the University, along with a request for more space in Gengras. To increase funds, staffers made efforts to sell underwriting at the rate of $5 per hour, with commissions for the Salesman, Business Manager and Underwriting Coordinator totaling 15%. Underwriters would be acknowledged twice per hour on the air. The staff also made a decision not to use national PSAs unless they apply to the local area, nor PSAs that asked for money. Chuck Wansley was appointed by the Black Peoples Union as an advisor to WWUH. A constitutional change was made on October 14 to remove the AM Sales Manager position from the ECOM, to be replaced by a 2nd At Large member. Tom Canaday and Rob Weitz were elected to these positions. Brian Lord undertook a study of the feasibility of having Spanish language programming on WWUH. 5:00 - 8:00 PM - "Stereo Classics"
5:00 - 8:00 PM Saturday- The "Katz Meow," featuring engineering Guru Bob Katz. Live remotes from the Suisman Lounge featured the Hartt Jazz Band. In May, the engineering department discovered that the present stereo generator and exciter would not pass the mandated FCC proof-of-performance. The ECOM allocated $3,200 for replacements. At this time, the station purchased a state-of-the-art Wilkinson solid-state FM exciter to replace the old tube type RCA unit. It also purchased a Wilkinson stereo generator. When installed, these units greatly improved the sound and reliability of the station's signal. The ECOM also approved $5,000 for two Scully tape recorders, $120 for speakers and mikes, $600 for a portable reel machine, and $350 for five AM transmitters to be installed in the dorms for WWUH-AM. Major headlines in 1970: Nixon ends the US trade embargo against China. (Apr. 14); US Supreme Court rules unanimously that busing of students may be ordered to achieve racial desegregation (April 20); Pentagon Papers published (June 13); twenty-sixth Amendment to US Constitution lowers voting age to 18. (June 30). Director of Development - Judy Corcoran. Active members on the roster in the fall: Dave Achelis, Charlie Allen, Ron Barisano, Art Barlow, John Barone, Sharon Boudreau, Tricia Beatty, Andy Brownstein, Phil Cabot, Paul Cailler, Bob Cleary, Judy Corcoran, Ron Davis, Michael Ditkoff, Bob Dunkley, Roger Fennig, Peter Godoff, Eileen Harris, Patrick Hill, Stu Jaegger, Pam Johnson, Yvonne Jordan, Bob Katz, Mike Joseph, John LaBella, Sandy Lavery, Alex Leslie, Dawn Magi, Tim Muldoon, Bill Papoosha, Mark Persky, Mel Pepper, Carl Prutting, Dave Radka, Cliff Scheley, Jim Shanahan, Bob Smolin, Terry Sobestanovich, Joe Soya, Roger Stauss, Leslie Terry, Joe Terzo, Jim Theobald, Rob Weitz, Nel Wilson. Advisors to the station: Dr. Viamonte, Dr. Umunna, Ed Nelson, Ken Kalish and Tom Canaday. WWUH, in a testament to the professionalism of the staff and programming, was invited to "move Mother to the Mountain." Raising the height of the antenna to almost 500 feet above average terrain and moving it to Avon Mountain increased the stations reliable coverage from five miles to nearly 20 miles. Charles Allen, Chief Engineer, did all of the legwork in getting the transmitter ready to move to the mountain, but was unable to finish the project due to a work conflict. The project was passed to engineer, Larry Titus, who, along with Stu Yeager and Steve Shore, presided over the actual move. The station raised money for the move in its first fund-raising marathon that spring. This move was a major step for the station, and it would necessitate the purchase of a new antenna. It was also was the first time the station had to pay for the transmitter's electricity, which, at about $100 per month, was a significant budget line item. As a result, the first Program Guide was published in April to help raise funds and reward those who donated to the station. Station management had their hands full running the FM side of the station so a decision was made to concentrate on the FM and allow the AM to fall by the wayside. While the intent was to operate the AM station as a training ground for students interested in getting on the FM, running two stations had become just too much work, and everyone wanted to be on the FM so that they could broadcast to the whole community. The Student Association donated $2,000 to enlarge the station's record library. The station's first Marathon fundraiser was planned for midnight April 7 to midnight April 23. Donors received a subscription to the Program Guide for a $5 donation. Announcers were asked to mention the Marathon once every 15 minutes during the 16-day event. The goal was set at $1700, earmarked for the transmitter move. Hourly totals were posted on a blackboard. A Black Coalition, formed within the radio station, demanded more black programs on the air. Their concern was that soul and jazz were being neglected, and that there were not enough albums. A separate library was set up for black records and programs. The station also began a series of programs on Youth and Draft counseling. Staff Awards presented at a banquet to Mel Peppers, Tricia Beatty, Dawn Magi, Roger Stauss, Anne Harte and Michael Ditkoff, with a special award to Louis Sampliner. News aired from 11:30-11:45 am and 5:00 - 5:30 pm weekdays. From the November 20, 1972 WWUH Newsletter: "During the Thanksgiving vacation, we will be renovating the studio, tearing down walls, putting up walls, fixing, destroying, etc. Hopefully the studios will be improved. . ."
Marathon started on November 3rd and featured Hartford Mayor George Athanson, who co-hosted a morning show with Mark Persky. $700 was raised to benefit the Newington Children's Hospital. 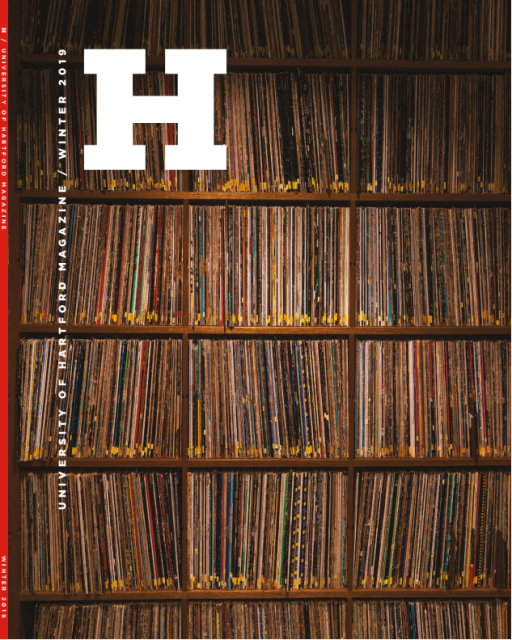 WWUH was not exempt from the problem of record theft that all college stations were subject to. In an effort to catch those responsible, ECOM members did spot checks, and a one-month moratorium was placed on having guests in the studio. The ECOM approved the printing of 3,000 Guides for October. Program Guide Advertising rates: full page - $50, half page - $30, and quarter page - $20. Tom Canady resigned as Program Director due to graduate workload. Roger Stauss was appointed Acting Program Director in September and became the permanent PD in October. Roger's first act was to request the ECOM's permission to program the station 24 hours on Saturday, giving it a full 24-hour broadcast day. The ECOM discussed changing the two At-Large ECOM positions to two new positions: Minority Affairs Director and Development Director. The former would be responsible for coordinating and developing the ethnic and specialty programming on the station, and the latter position would be in charge of fund raising, promotions and staff development. These new positions were approved pending ratification of the Constitution. Anne Harte was later elected as Director of Minority Affairs and Judy Corcoran was elected to the position of Director of Development. Tricia Beatty became Operations Director. 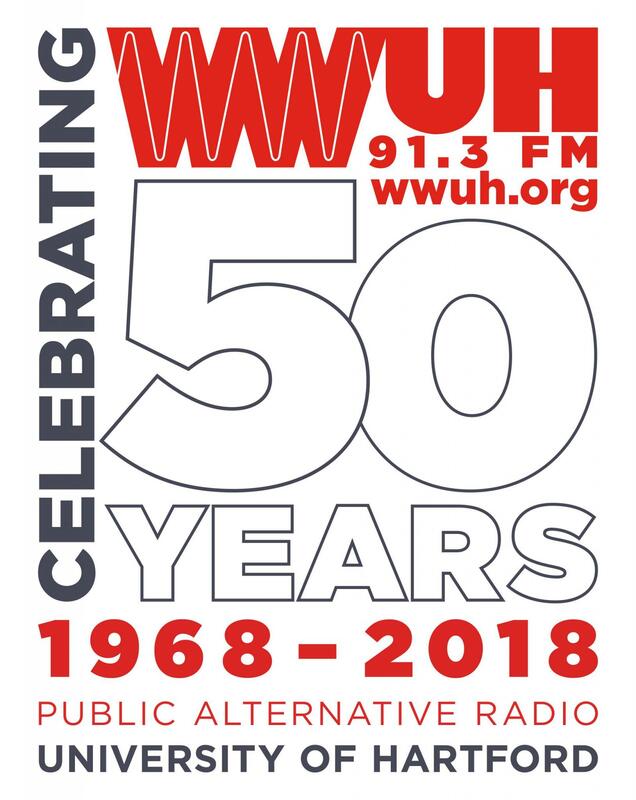 The station entered into an agreement with the Connecticut Transit bus company that starting September 1, the bus would carry promotional advertising for WWUH on the back and sides of select buses for a period of one year. The October 26, 1972 ECOM meeting minutes end with the following statement: "…Discussion tabled, immediate adjournment (news over teletype of Vietnam PEACE agreement!!!) -- 12:50 pm." The ECOM drew up the following temporary policies regarding personal "editorializing" by announcers: "Any announcer may state his opinion as long as he makes it known over the air that it is his opinion and not necessarily the opinion of the station. No announcer is to make any statement that may be taken as libelous. No announcer is to state his opinion on personal issues or on internal station policy or decisions." An agreement was reached to exchange advice and expertise with Weaver High School station WQTQ (89.9 FM). UH Professor Viamonte undertook a survey of students on campus during the fall of 1972 as part of a class project. The results show that 92% know where WWUH is on the dial, and 56% listen to WWUH part of the time. Fall of 1972 brought more concerts to the UH Campus, including one featuring the band Ten Years After w/James Taylor as the opening act. The station held a fund-raising Marathon for the Newington Children's Hospital, Nov. 3 with a remote broadcast and celebrity visits. $3000 was raised. Major headlines in 1972: President Nixon makes unprecedented eight-day visit to Communist China (Feb. 17); Britain takes over direct rule of Northern Ireland in bid for peace (March 24); Eleven Israeli athletes at Olympic Games in Munich are killed after eight members of an Arab terrorist group invades Olympic Village; (Sept. 5); Nixon orders "Christmas bombing" of North Vietnam (Dec.). Background: Vietnam War; Gov. George C. Wallace of Alabama is shot by Arthur H. Bremer at Laurel, Md., political rally (May 15); Five men are apprehended by police in attempt to bug Democratic National Committee headquarters in Washington, D.C.'s Watergate complex-start of the Watergate scandal (June 17); US Supreme Court rules that death penalty is unconstitutional (June 29). Stew Jaeger - Assistant Chief Engineer. Station management included Judy Corcoran-General Manger; Marc Andrews, Operations Director; Roger Stauss-Program Director; Steve Shore-Business Manager; Maceo Woods,-Director of Minority Affairs; Charlie Allen-Chief Engineer; Stew Jaeger-Assistant Engineer; Jim Shanahan-Music Director; Ron Barisano-Production Director; Steve Foss-Traffic Manager; Carl Prutting ;Sports Director; Sharon Boudreau-Personal Director and Terry Sobestanovich-Director of Development. Advisors: Philip Cobot, Clark Smidt, Ken Kalish, Michael Forman, Tom Canady, Ed Nelson, Dr. Umunna, Dr. Viamonte. The station routinely signed off at 2 AM most nights, although Gothic announcers were allowed to stay on the whole night if they so chose. Sign on was always at 6 AM. By mid-1973, the All Night Show was added making the WWUH the first college station in the state to broadcast 24-hours a day. WWUH operated a campus-on AM station, known as "WWUH-AM" during the early years of the station, but it was mostly neglected by station staff due to the demands of keeping the FM going. Since students were able to get the station on the FM dial, and the AM signal did not go off campus, the station donated the AM system to the Student Association. Thus, WSAM (Student Association Media) was born. The donation of the WWUH-AM equipment allowed WSAM to be heard in the dorms on campus through a process known as "carrier current radio" (which utilizes the building wiring as an antenna). The only advantage that WWUH had with the AM station was that since the AM was unlicensed, commercial spots could be sold. However, this required that the AM programming be separate from the FM, something that was difficult to arrange due to the demands of the FM side of the operation. The Transmitter move to the mountain was put on hold because of the pending sale of WTIC to the Washington Post. Special programming was produced and aired for Black Week, March 5-12. The station aired a series of PSA's on Vietnam aid and revitalization. The ECOM discussed having detailed classical programming notes in the Guide to help make it more interesting to listeners. The ECOM voted unanimously in February to go ahead with the transmitter move, despite concerns about whether we had our programming act together, whether we had enough money, and whether we had enough technical personnel. A 'Mini-Marathon' to get Guide subscriptions was scheduled for March 3-5. Joe McKernan designed the 1973 T-shirts. The shirts cost the station $0.90 each, and the station ordered 300 of them to be sold at cost to staff and offered to listeners for a $5 donation. The station also printed WWUH matchbooks, along with "bicycle bumper stickers" and car-window stickers. A meeting was held with UH President Dr. Woodruff to discuss the University's opinion regarding obscenity in public affairs programming. The station banquet was held at the Steak and Brew in Farmington, CT in April. Active guests, advisors and invited guests were paid for by the station, all others charged $7. A review of station membership on February 22, 1973 listed 32 active members. Judy approached the Student Association with a request of $3,000 to go towards the transmitter move. From a September 6, 1973 memo to Dean McKinley: WWUH is growing. We recently received permission for the Federal Communications Commission to move our transmitting facilities to Avon Mountain. This means that WWUH we be broadcasting to almost the entire state of Connecticut. However, currently we do not have sufficient funds to carry out our plans. Presently our main concern is moving the transmitter. The entire cost will be $12500, of which we have only $9,500. We are in a great hurry to get this money as we are working against time --- the Mountain Move must be made within two months before the cold weather sets in, and the equipment takes between thirty and sixty days to deliver. We would also like to purchase a tape recorder that would allow us to record UH lectures, community happenings, press conferences etc. We are an educational station and such plans could greatly increase public affairs programming. We would also like to purchase a "Sherlock Holmes Series" from the BBC at a cost of $1300. And last but not lease this year we were forced to hire a chief engineer because our technical staff was very weak. "Radio is growing rapidly,. Now many high schools are starting their own radio stations. For example, WWUH is helping Weaver High School organize their new station. With this new interest in radio broadcasting among high school students, if WWUH grows to become a better quality station, WWUH could attract many new perspective freshmen. Since FCC rules required that WWUH's chief engineer have a first class license, and since the station constitution required that the chief engineer be a UH students, the only person with such a license on the staff was Larry Titus, who had been with the station since the beginning. The ECOM agreed to pay for Larry to take 2-3 courses at Ward College. In return, Larry would sign up as Chief Engineer. He could not put in the required 15 hours a week, but would keep the station legal and on the air. Larry was elected to the position on September 20, 1973. From the September 18, 1973 ECOM Meeting minutes: "The Student Union Board of Governors (SUBOG) decided that the public address system in the campus center will be set on WKND (a local black station) from Noon until 2:30 PM daily, and on WWUH the rest of the time." General Manager Judy Corcoran set up the Connecticut College Broadcasters Association and held an all-day conference at U of H with speakers from local stations. Topics included sales, programming, technical, legal and ethical issues. Telephone and Electricity were set up at our location on Avon Mountain with the move planned for early November. The station would be off the air for 1-4 weeks. Several options were discussed to raise additional funds for the transmitter move, including a special Marathon, asking the Student Association for a donation, and borrowing from UH. The ECOM decided to borrow. In preparation for the transmitter move, the engineering staff dug a trench from the building to the tower, and the antenna was ordered. Many staff members who were concerned about using it effectively questioned the necessity of the United Press International newswire, which cost the station 16% of its budget each year. The ECOM had asked announcers to read some news items at the start of each show but not everyone was doing so. Program on the West Indies is auditioned. After six years of hard use, the station had out-grown the tiny Sparta air studio board. In addition, the board was also wearing out. The ECOM allocated $3,000 to purchase a state-of-the-art Fairchild ten-channel audio console for the Air Studio, and the Sparta board that had been used in the air studio was repaired and moved into the production studio. In November, the ECOM approved the airing of PSAs for Trinity College's radio station, WRTC (89.3 FM). They were off the air with transmitter troubles, with no money for repairs. WWUH had its own problems with the new Fairchild Board, serial number 1. Even though the board had dramatically improved the improved the air sound and expanded the on-air capabilities of the announcers doing shows, it was problematic. Steve Shore, the Business Manager said he wouldn't pay for it since he was so disgusted with the situation. Optionally, he would send the company $1 a week until it was paid off (about 3000 weeks later!) Andy Bronstein proclaimed at that time he would be 38 and wondering what everyone looked like!). The station produced a special Christmas show featuring 160 kids from the Annie Fisher Elementary School and the Annie Fisher Choir. Sandra Rosoff offered some special holiday readings and the Hartt Brass and Rhythm Department, along with the Emmanuel Congregational Church performed the Bach Christmas Oratorio. In addition, the Hartt College Suzuki class for 3-8 year olds performed at the event, where volunteer Marc Persky appeared as Santa Claus. Paul Payton wrote the following about his experiences at WWUH, which started in 1973: One of the late night progressive shows; I had also guested on the Street Corner Serenade. The blessing of 'UH for me and many compadres was that you guys let us come up while we were "between stations" and keep our chops sharp. You gave me a place to hang my hat, stay in touch with the trade, and not coincidentally allowed me to help pump up record service a bit for 'UH. My last show there was filling in for Paul Bezanker on Street Corner Serenade one week when he couldn't make it. It was wonderful - it's the only show I did from the new studio, and I felt like I was *really* back on the radio! (I think I brought up about 4 hours of music for the two-hour show!) But the magic of 'UH (and other "real" radio stations in college environments, like WBRU - as opposed to 10-watt or closed-circuit ego trips) is that no matter how much one does for the station, it always does more for you - sometimes you just don't realize in what ways until later. Cathy Spann offered the following recollection about 1973: I remember rolling in at 6AM one morning to do FM on Toast, only to be greeted by this man wearing what I would describe as a small leather loincloth. That was Sweet Pie, and that's how I remember him, sitting practically naked in the announcer's chair that morning, with long curly brown hair and a smile. That'll wake you up fast! Major headlines in 1973: A ceasefire is signed, ending involvement of American ground troops in the Vietnam War. (Jan. 28); US bombing of Cambodia ends, marking official halt to 12 years of combat activity in Southeast Asia (Aug. 15). ; Organization of Petroleum Exporting Countries (OPEC) hikes oil prices tremendously in retaliation for Western countries' involvement in Yom Kippur War. Nixon, on national TV, accepts responsibility, but not blame, for Watergate; accepts resignations of H. R. Haldeman and John D. Ehrlichman, fires John W. Dean III as counsel (April 30). Spiro T. Agnew resigns as Vice President and then pleads no contest to charges of evasion of income taxes while Governor of Maryland (Oct. 10). In the "Saturday Night Massacre," Nixon fires special Watergate prosecutor Archibald Cox and Deputy Attorney General William D. Ruckelshaus; Attorney General Elliot L. Richardson resigns (Oct. 20). ; US Supreme Court rules on Roe v. Wade.